1. 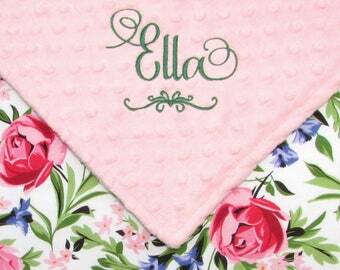 Name or Monogram exactly as it will be embroidered. If no font or thread color noted, I'll use what's shown. 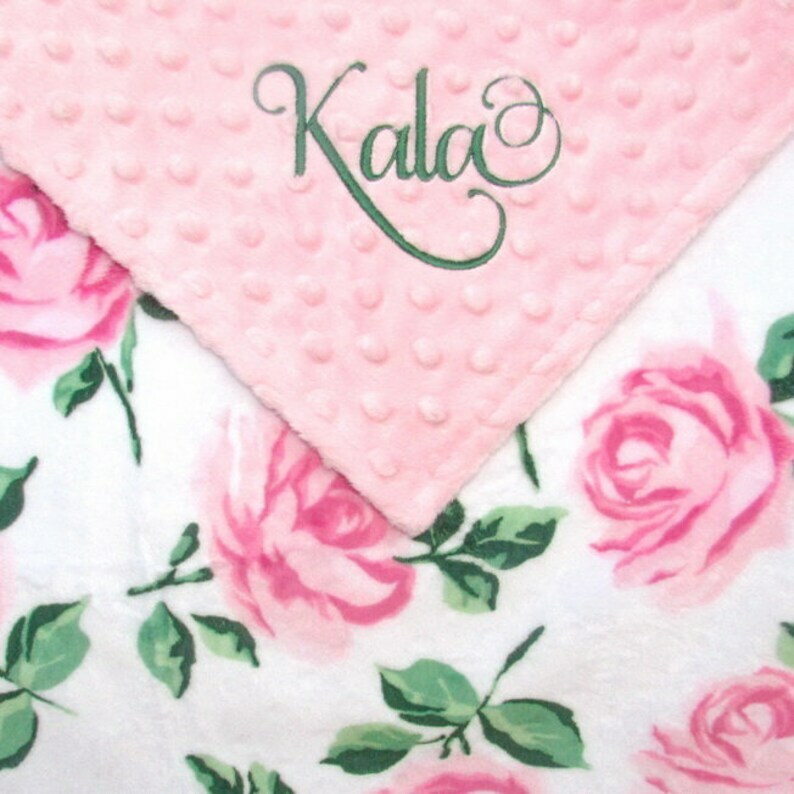 This floral blush rose blanket with minky dot backing is perfect for a sweet little girl! 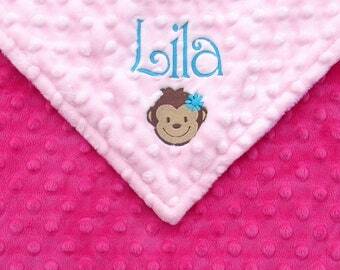 This is a double minky blanket meaning both sides of the blanket are minky fabric making it super soft and cuddly. 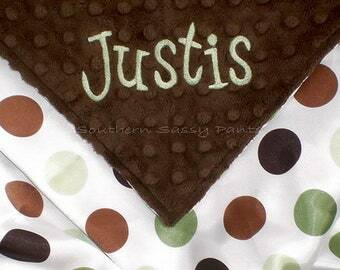 Babies and toddlers love the soft, silky feel of this custom blanket. 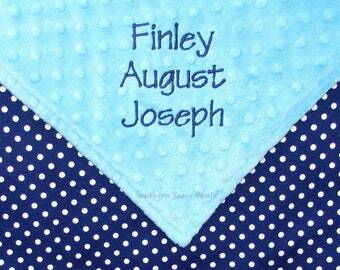 Small security blankie measures 18" x 18", this is a perfect size for babies and toddlers to hold and snuggle. 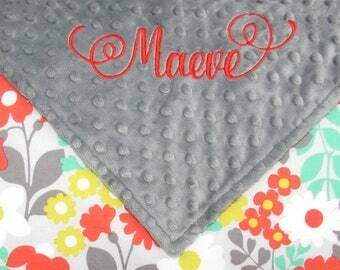 Baby blanket (28" x 30") is great for keeping baby warm in the stroller or car seat, or a little bit of added cushion on the floor for tummy time. 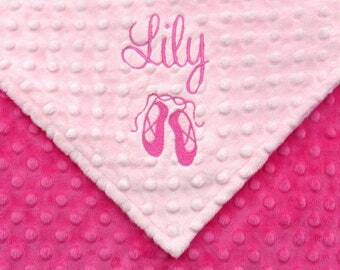 Top stitched for extra durability and many years of love. Not into the fabric shown here? No problem! Simply tell me your theme/color scheme and I will do the rest! I can make this blanket using any of the fabrics that I have. 6. 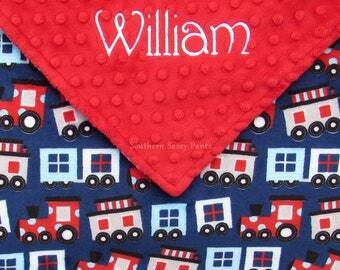 Embroidery placement (diagonally on a corner OR centered at the bottom of the blanket). Please feel free to contact me at anytime if you have any questions, or need guidance in any way. All of Southern Sassy Pants' items are carefully hand crafted in a clean and smoke-free home, using only the finest materials available, with close attention being paid to every detail. I guarantee you will not be disappointed! 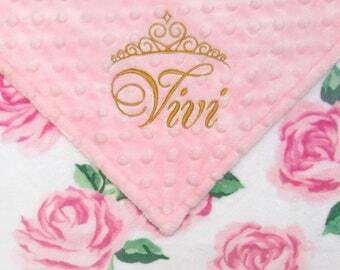 ~Minky blankets and lovies ship via Priority Mail in the U.S. I received my blanket in the time that she said I would, it looked exactly like picture, was super soft and just as cute! Aside from the product being fabulous so is the seller! I was in a hurry trying to order my blanket before work and didn’t realize until after I hit submit that I had messed up and when asking for a cancellation to reorder the right blanket she was so sweet and understanding. Will definitely be a returning customer! I received my daughter's blanket and I absolutely love it!! 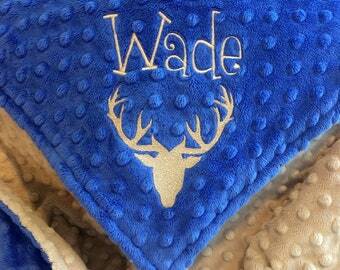 Another beautiful baby blanket! My friends love these. Thank you for being my go-to baby gift! 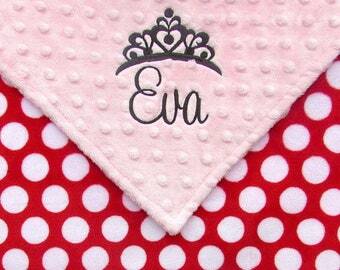 ★ To place an order, simply leave your details in the "notes" section upon checkout. Please feel free to contact me at anytime if you have any questions. ★ Be sure to double check for correct spelling (and punctuation, if applicable). Embroidery will be done exactly as you type it. Ex. 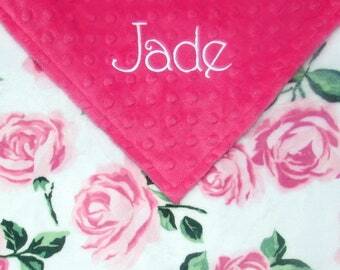 If you type in all capital letters, that is how it will be embroidered. ★ After your order is placed, please log in to your etsy account to check for messages, as I will contact you just as soon as I can, to confirm your order. ★Please understand that if any information is missing, processing time may be longer...depending on how long it takes for you to get the details to me. 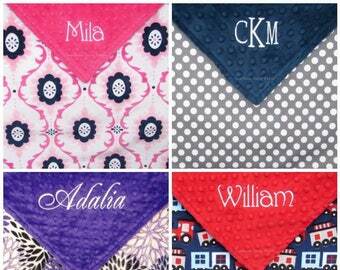 *This time-frame begins after your order is placed, payment is received and all of the required information (fabric choices, personalization info, etc.) is received. *Please note: This does not include shipping time...please allow an additional 2-4 days for Priority Mail within the U.S.
International shipping times vary from 2-4 weeks (all shipping times are completely and totally out of my control). Unfortunately there's no reliable tracking for shipments outside the U.S., so we won't have any real way to track your package. USPS does not give estimates for International shipping, but I have shipped hundreds overseas and most people get them within 2 - 4 weeks...while others have taken longer than that. ★★ Please understand that once I hand the package to my mail carrier, it is completely and totally out of my control, so it is really hard to give an accurate shipping time-frame. Please read descriptions before purchasing, as I offer numerous different sizes/options...sizes are clearly marked in each description, so pay close attention to the measurements, to ensure that you will get the size you want. If you are unsure about which size to order, feel free to message me and I will gladly give a suggestion! 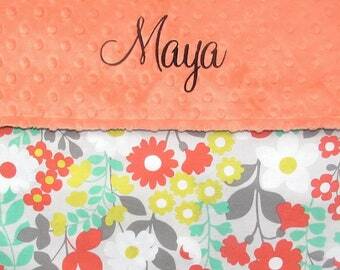 If you would like to send your item as a gift, I am happy to include a gift message in with the package! 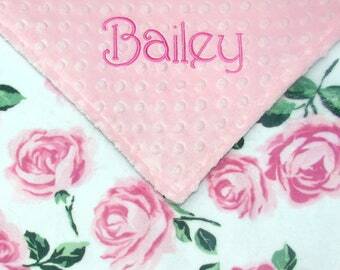 Just specify in the "Notes to Seller" box at checkout that it is a gift, and let me know the text for your message. No, I do not accept any returns/exchanges on personalized items, unless I have made a mistake*... as it would be nearly impossible for me to re-sell a custom designed item with someone else's name on it. However, if you feel the item is damaged or defective, please contact me to discuss your order further. I strive for complete customer satisfaction, so please don't hesitate to contact me about any issues! *Of course, if I make a mistake on your order, I will quickly re-make the item and ship it out straight away.